Applications open today for the City’s new PollinateTO Community Grants. Through the grants, the City will provide up to $5,000 to support community-led initiatives that result in the creation or expansion of pollinator habitat on public and private lands in Toronto. The grants are a component of Toronto’s Pollinator Protection Strategy, adopted by City Council in 2018 to support the more than 360 species of bees and more than 100 species of butterflies and other pollinators found in Toronto. Many species are in decline due to habitat loss, climate change and other stressors. Projects eligible for funding include those that create new pollinator habitat in green spaces, such as schoolyards and parks, and those that expand existing gardens with pollinator-friendly plants. Projects to create multiple front-yard gardens on a residential street are also eligible for funding. Projects must be visible to the public and educate and/or engage the community in some way. Community groups, not-for-profit organizations, student groups, parent councils and other resident-led groups are encouraged to apply. The application deadline is May 1. 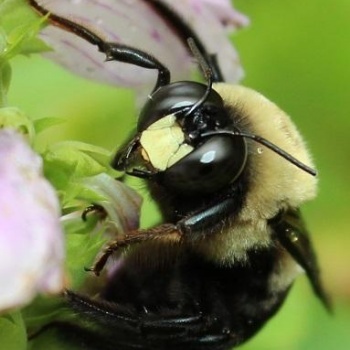 More information about the PollinateTO Community Grants and the City’s Pollinator Protection Strategy is available at https://www.toronto.ca/services-payments/water-environment/environmental-grants-incentives-2/pollinateto-community-grants/. Toronto is Canada’s largest city, the fourth largest in North America, and home to a diverse population of more than 2.9 million people. It is a global centre for business, finance, arts and culture and is consistently ranked one of the world’s most livable cities. For information on non-emergency City services and programs, Toronto residents, businesses and visitors can visit http://www.toronto.ca, call 311, 24 hours a day, 7 days a week, or follow us on Twitter at http://www.twitter.com/cityoftoronto, on Instagram at http://www.instagram.com/cityofto or on Facebook at http://www.facebook.com/cityofto.